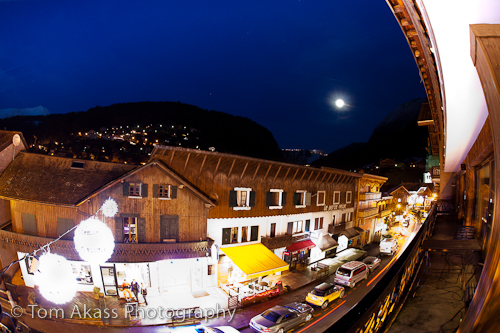 Been in Morzine for almost a week now and its starting to feel more like home. Spent most of my time doing staff training with Skiidy Gonzalez which has been really useful. Really impressed by the efforts they have put into getting all the staff ready for the coming season. Even little things like parking but its that kind of stuff that will end up saving lots of money on repairing vans etc. The last couple of days it has snowed quite a lot even down in the town although most has melted and the snow line is sitting just above the town. 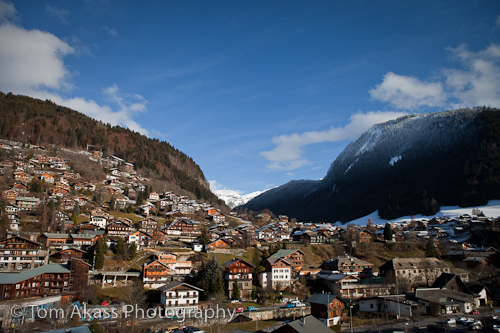 We went on a wee trip to Les Gets yesterday with the intentions of setting up a rail or something. I think we all just wanted to put our boards on! So we went over with Callum, Kevin, Sean and their flat mate and were met by about a foot and half of wet heavy snow in the town. We couldn’t find anything to jib but ended up walking up a small slope for a short run but it was pretty rubbish because the snow was so heavy! The whole town is starting to buzz with excitement now though as opening say is this Saturday. Its all everyone is taking about in the bars and I have seen a couple people waxing their boards on balconies in preparation for it. Trying to decide what pass to get is a nightmare as the full area pass is and extra 300+ euros! Morzine, Les Gets and Avoriaz is covered by the cheaper pass and is still a massive area so I think I may end up having to get that one. 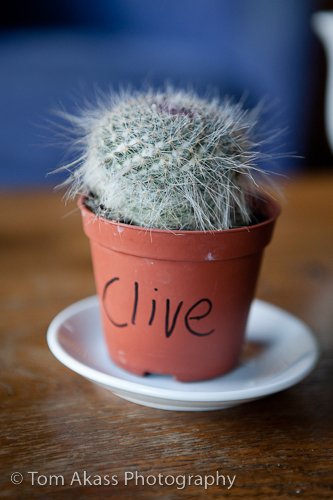 Clive the cactus, Best parker award! Last night Skiidy took all their staff out for pizzas and wine which was really cool. Everyone seams to be really chilled out and great bunch of people, can’t wait to start work properly with them all. They handed out a few awards for best overall driver, best reverse parker etc and also who would be driving the VIP vans around all season. I managed to wangle best parker which has to be a total man award! After the meal most people headed of down to Rhodos for a Mutzig or two and thats where things start becoming a little hazy! Although Kimbra did tell me all about her rapping career and has assured me I will get to hear some soon, can’t wait! Today has been first day where we haven’t really had anything planned so was nice to have a bit of down time. Few more people moved into the apartment so its starting to feel a bit busier now which is nice. Although once the full 11 people are in and living here I should imagine it might start to feel a little cramped! Clear night outside tonight so hopefully will start freezing all the snow so we get a good solid base for the season. Hopefully the next post should feature some on snow action so watch this space!